He is also a rather clever and curious dog and unlike most dogs, is not always devoted to his owners, Jack and Maureen Collins. One day however, a few days after The Collins have moved to another part of Australia, Tally runs away. He is not a stray, but he does not have any particular owner. He becomes known as Red dog, and becomes famous throughout the place where he lives. There is one thing known about him for sure: you don’t mess with Red Dog. 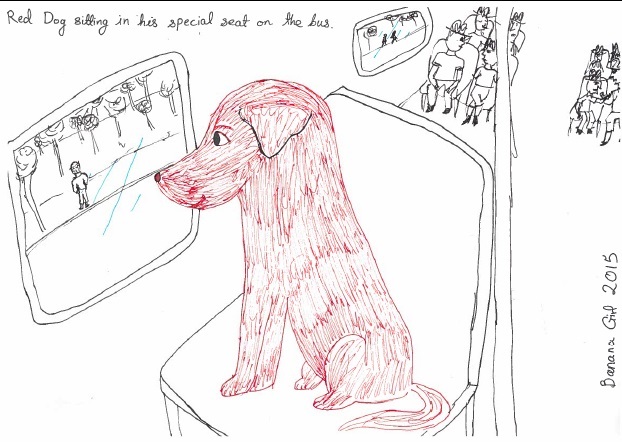 For Example: Take his seat on the bus, he will either growl at you – or maybe even push you off! This book is a collection of little adventures throughout Red Dog’s life. They are very exiting and stimulating stories, and there is such personality from Red Dog. It shows how much things can change, and you should put away differences between each other and become friends. I can’t count how many friends Red dog make with humans, and He even puts aside his natural instinct to hate cats, and befriends Red Cat. 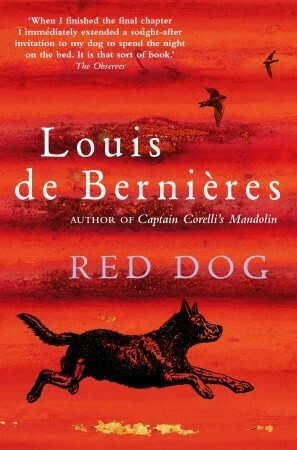 It is also quite amusing, to see Red Dog, or more like to read about Red Dog causing mischief wherever he goes. This book made me laugh a lot, as it was quite funny. It is also quite a clever and fascinating book.There are some sad parts though, because it is a bit like real life really, but not entirely. I would definitely recommend this book to children of all ages, and adults as well.